We specialize in unique, custom made wedding garters that add excitement to your wedding or prom! 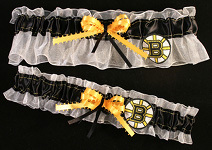 Our designs include football (NFL), basketball (NBA), baseball (MLB), college athletics (NCAA) hockey (NHL), NASCAR themed garters. Some of our top selling garters include themes from movies (Superman, Batman) hobbies (Harley, Camo), careers (Military, Fire & Police) as well as Traditional color themed wedding garters! 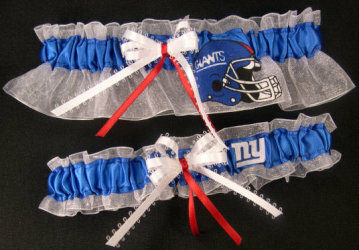 We welcome custom garter requests! Just type the name of the garter you are looking for in the "Search Box" If you do not see what you want, send us an email...we will do our best to come up with a design for you. Check out our Gallery of Special Requests! Here you will find pictures of special requests we have received. 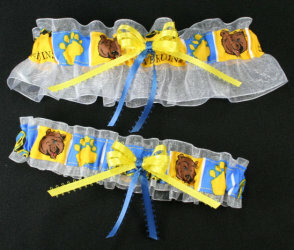 These garters make great shower gifts or unique wedding attendant gifts! Garters are handcrafted and stretch to fit most sizes up to 24". 1. Browse the categories listed under the "shop online" menu. 2. 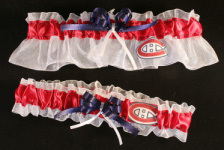 Type in the garter you are looking for in the "search site" box. If you don't see the garter you are looking for, please email us (sew_u_nique@yahoo.com) and we will do our best to accommodate your needs. Custom orders welcomed! Please allow a week for us to ship your garters. Priority (2-3 days) and Overnight shipping are available for an extra charge. Sew Unique was developed during the summer of 2006. 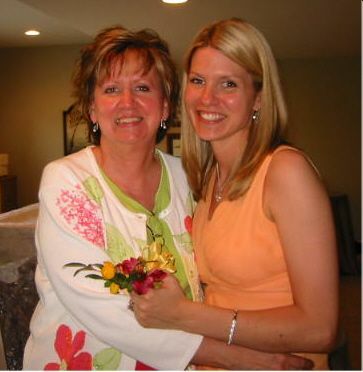 Becky (daughter) was home visiting Cathy (mom) and they were recalling Becky's wedding from the previous year. A little saddened by the fact that the wedding was over, Cathy and Becky decided they weren't ready to leave the wedding world quite yet! What better way to stay connected than to make beautiful and unique garters that fit everyone's personality! Cathy and Becky both work on garters from home in Michigan! **NEW** Now you can follow us on Facebook! We are new to facebook, so join us to get updates on our garters!